St. Paul says Christ is our peace. He will bring us together. We all have access to the Holy Spirit! We are brothers and sisters in the Body of Christ. How can you make peace? Mark tells us how Jesus said we can be ready for being peacemakers and going out into the world. Jesus said, “Come to a deserted place and rest.” Interesting that He said, ‘Come’ not just ‘Go.’ He will go with you. And, you will find rest. So, we can do our best today. And then, rest up for tomorrow. Be sure to find your own retreat time! What I really love about reading and reflecting on Scripture is that I always see something different if I really look. Contemplating the meaning of Scripture changes from day to day and year to year. Today as I heard the Readings proclaimed, the first reading from Jeremiah stood out like a flashing road sign. “Woe to the shepherds who mislead and scatter.” Today that jumped out. When I talk to teens about what the Scriptures can mean to them, being a shepherd is a great topic. You may be able to relate, too. Have you ever thought of yourself as a shepherd? 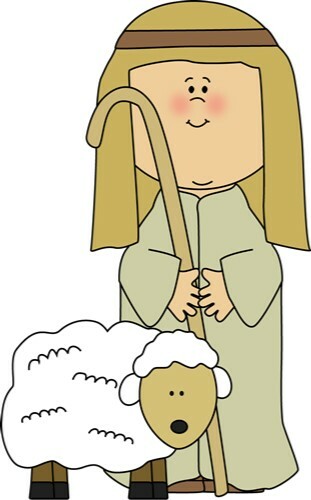 Just think about the basic idea of a shepherd: leading and guiding. We are shepherds of our friends. We can lead them well and raise the bar. Or, we can lead them astray. Today, that could mean gossip, bullying, drinking and drugs or just being negative. Are we lifting people’s spirits? Are we bringing hope and peace? A big shocker to teens is that you can be an ‘accessory to sin’. Most of us relate an ‘accessory’ to a crime. You can go to jail for helping someone commit a crime even if you didn’t do it. Same goes for sin. You are in big trouble with ‘the guy upstairs’ if you lead someone to sin. This is probably what I would have said to a class this week. That reading was followed by Psalm 23. It contains the explanation of what our Good Shepherd does for us. It’s our example for being a shepherd to those around us as well. This entry was posted in Thought for the week... and tagged accessory, change, Christ, crime, flock, friends, future, guide, hope, Jeremiah, lead, Peace, regroup, relate, rest, retreat, scatter, Scripture, shepherd, sign, sin, teens, today, tomorrow, twelve step. Who me? I got this!